Today in Washington, the Senate Judiciary Committee questioned William Barr, Donald Trump’s nominee for Attorney General. With new revelations being uncovered by the special counsel practically every day, the prospect of Trump successfully hand-picking the next man to preside over the investigations into Trump’s campaign is deeply troubling. It doesn’t matter what Barr tells the Senators and media, what matters is his record—and what he’s told Donald Trump, who is currently under investigation. Call our Colorado Senators, Cory Gardner at (202) 224-5941 and Michael Bennet at (202) 224-5852, and urge them to vote against William Barr. “RussiaGate” is just the beginning of the problems with William Barr. Barr called the backwards former Attorney General Jeff Sessions “outstanding.” Serving under former President George H.W. Bush, Barr was a major proponent of mass incarceration policies that resulted in the United States having one of the highest rates of imprisonment in the world–disproportionately impacting communities of color. 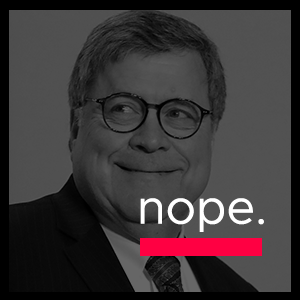 Barr’s documented views on abortion, LGBTQ+ rights, and immigrant rights show his just how backwards his views are. Call Sens. Cory Gardner at (202) 224-5941 and Michael Bennet at (202) 224-5852, and tell them to vote against William Barr. He’s the wrong man at the worst possible time. Thanks for your timely help. However this fight ends, speaking truth to power is always the right thing to do.